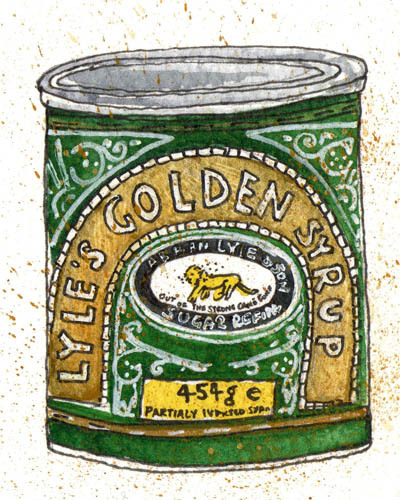 The story so far The world’s most contentious foodstuff, which began life by the river in Burton-on-Trent in 1902 as a by-product of the brewing process, has developed near-talismanic qualities. It was shipped in epic quantities to British troops during both World Wars and continues to be enlisted in battles of a different sort -mosquitoes are thought to be firmly in the ‘hate it’ camp. Various limited edition versions have been produced, including, in 2010, an extra-mature one. Speaking of which, it’s very popular with The Rolling Stones, who always request it on tour. The story so far 1814 was a good year for Britain. The first cricket match was played at Lord’s and miller Jeremiah Colman hit upon the idea of blending mustard seeds to create a scorching powder. Colman’s red-and-yellow livery was unveiled in 1866 and, in the same year, Queen Victoria gave the company her seal of approval. The Royal Family continues to like it hot-Colman’s supplies Buckingham Palace to this day. 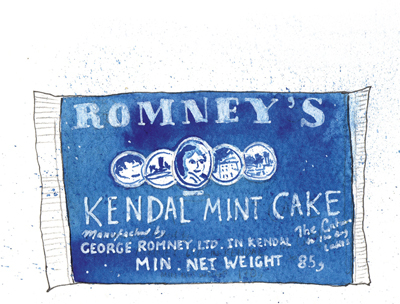 Such was its founder’s success that he was able to buy up rival manufacturer Keen Robinson & Company in 1903, a move that reputedly gave rise to the phrase ‘keen as mustard’. The story so far Gin was to 18th-century London what tins of Special Brew are to park benches today. The Gin Act of 1751, designed to regulate consumption, succeeded in restricting the sale of Mother’s Ruin to licensed shops. But the merchandise remained shoddy: impure, sweet and often flavoured with turpentine. Southwark distiller Alexander Gordon resolved to create a more salubrious spirit and Gordon’s Gin was born in 1769. His exact recipe remains a secret, but we know that it balances juniper with coriander seeds, angelica root, liquorice and citrus peel. The story so far Only someone born in the Victorian era could have designed this tin, featuring a decaying lion’s carcass surrounded by a swarm of bees, with the legend ‘Out of the strong came forth sweetness’ (a nod to the Biblical book of Judges) running beneath it. Scottish businessman Abram Lyle, who started selling his ‘Goldie’ from barrels to friends in 1883, was a man of religious conviction. George V bestowed a Royal Warrant on his company and every monarch since has followed suit. The advent of an easy-pour bottle in 1996 hasn’t lessened the appeal of the original industrial-style packaging -in 2007, Guinness World Records declared it to be the oldest in existence. 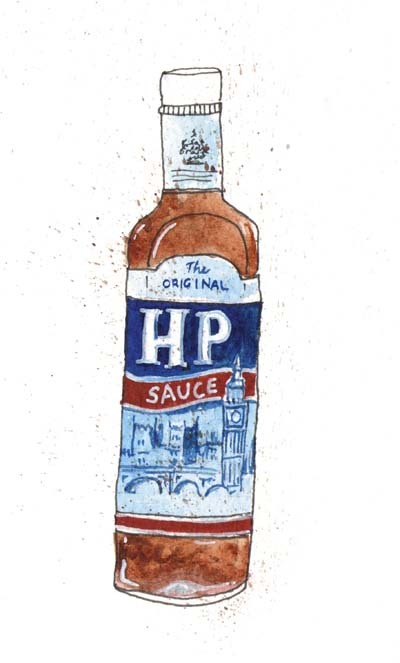 The story so far ‘Wallop it on!’ ran the famous tagline for HP Sauce. And there’s always been something a little, well, saucy, about Westminster’s favourite condiment. Nottingham grocer Frederick Gibson Garton, who spent the closing years of the 19th century tinkering with a mixture of tomatoes, vinegar, molasses, dates, tamarind and spices, originally cooked it up. 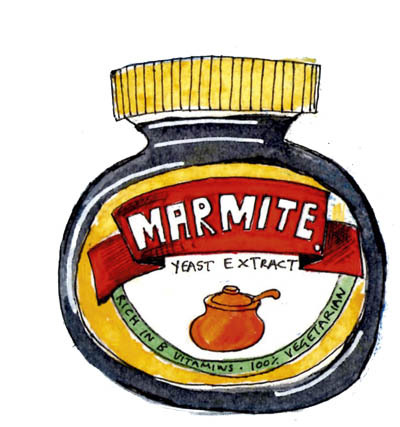 However, he was persuaded to part with his secret recipe by the Midlands Vinegar Company’s Edwin Samson Moore, to whom he owed £150 in unpaid bills. Just over a century later, in 2005, the Americans bought HP Foods for the somewhat larger sum of $855 million and the sauce went global-we now get through 28 million bottles each year. The story so far What a difference a name makes! Had the Cadbury bigwigs got their way, the world’s best-known chocolate bar might have been called Highland Milk. Or Jersey, or Dairy Maid. Fortunately, the young daughter of a customer pitched in and her suggestion stuck. Dairy Milk was conceived as a dig at the Swiss, who, in 1905, were the undisputed market leaders in milk chocolate. George Cadbury Jr, son of the company’s founder and the brains behind Bourneville, was challenged to develop a bar even creamier than the Continental offerings. He succeeded: by the time the First World War broke out, it had become Cadbury’s biggest seller and, more than a century later, 350 million bars are sold worldwide each year. The story so far A riddle wrapped in an enigma, wrapped in an orange label. 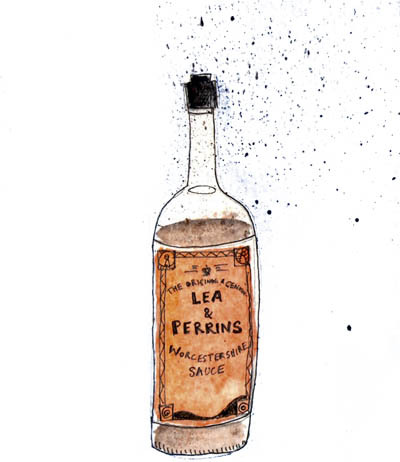 The official line is that one Lord Sandys, former governor of Bengal, returned to Worcestershire in the early 1800s clutching a recipe for a spicy sauce, which he then tasked two local chemists-John Lea and William Perrins-with re-creating. Their first attempt failed to impress and the jars were abandoned in the pair’s cellar. A few years later, they decided to open them up and were amazed to discover that the contents had matured into a delicious savoury condiment. However, some historians hold that no Lord Sandys ever governed Bengal-or went anywhere near India. The controversy continues: two leather-bound folios containing what purported to be the original recipe turned up in a skip in the 1980s, but cynics wondered whether the whole thing was simply a publicity stunt. The story so far ‘We had to let the West Wing go, but thank heavens we can still afford our Pimm’s’ proclaimed the 1930s advertisement. It wasn’t entirely tongue-in-cheek- by then, everyone’s favourite amber nectar was cosying up to the Establishment in a big way. But its beginnings were altogether more low-key -the drink was the brainchild of James Pimm, a farmer’s son who left Kent to seek his fortune in the early 1800s and eventually got together the funds to open an oyster bar in the City. There, thirsty punters would knock back chasers of gin between mouthfuls, wincing at the bitter aftertaste. Pimm hit upon the idea of boosting sales by serving seafood platters with a sweet, ginbased tonic instead. Diners were delighted with the new offering, which came in a small tankard known as the No 1 Cup. The rest is gardenparty history. The story so far The clue is in the name: Ye Olde Pork Pie Shoppe, Dickinson & Morris’s Melton Mowbray headquarters, has been baking up a storm since 1851. Pork pies were a medieval innovation, but they came into their own in the 19th century when members of the Quorn, Cottesmore and Belvoir started carrying them in their saddlebags. Bonestock jelly was added after baking to fill the air spaces inside and to prevent the pies shattering when huntsmen cleared hedges. 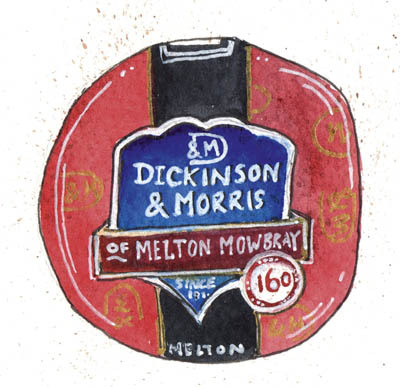 These golden wonders have occupied a special place in the nation’s psyche ever since- members of the 4th Parachute Brigade were welcomed home to Melton Mowbray in 1944 with trays of specially baked Dickinson & Morris pies. Today, visitors flock to Ye Olde Pork Pie Shoppe from all over the world to watch pastry being hand-raised in the traditional way and filled with coarsely chopped (never minced) pork. The story so far From dons’ delight to 007. 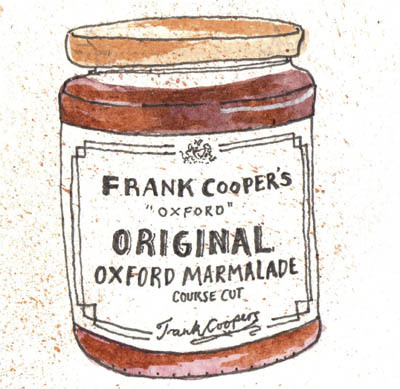 In less than a century, Oxford shopkeeper’s wife Sarah Jane Cooper’s robustly flavoured marmalade had attracted the attention of James Bond himself, who has it on his toast (thickcut, wholewheat, spread with Jersey butter) in Fleming’s 1957 novel From Russia, with Love. Scott set off for Antarctica in 1910 with Frank Cooper’s Vintage Oxford among his provisions-long after his party had perished, a jar was found buried in the ice. Today, British ambassadors spoil visiting dignitaries not with Ferrero Rocher, but Frank Cooper’s: it’s supplied to embassies around the world.